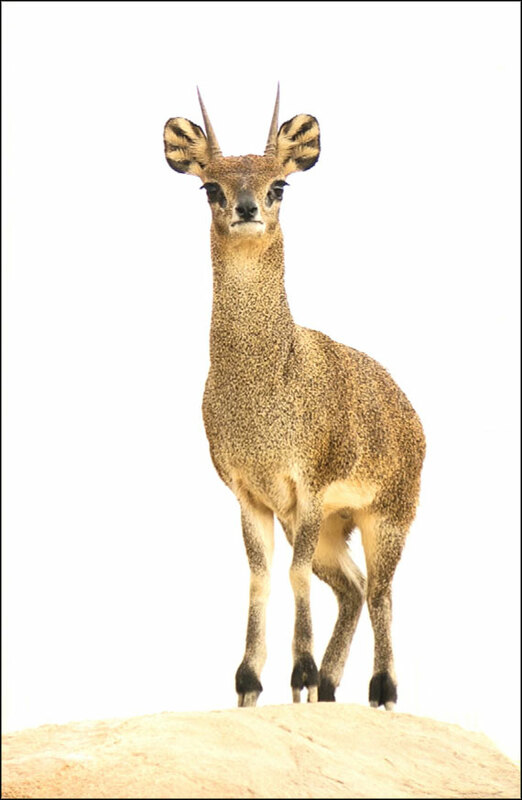 “Klipspringer” . A vertical video projection of an antelope can be seen. The animal looks like a statue since it does not move but just looks at the viewer in the room. You can see that he is alive because you can see him breathe and sometimes he moves his nose. The white background gives the whole scene something magical.